A crisis response event has been organised for Lurgan this evening in the aftermath of the Cookstown tragedy. A special event will help those young people who may have witnessed events on St Patrick’s Day outside the Greenvale Hotel were three young people lose their lives. 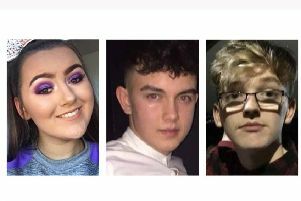 The funerals for Lauren Bullock (17) Morgan Barnard (17 and Connor Currie (16) will be held tomorrow. Dozens of local children attended the event with a bus load of around 50 bringing some to the venue last Sunday evening. GAA, soccer and otehr sporting clubs have united with Links in Lurgan to give some support to the youth affected. The Crisis Response Community Event will be held in the Emmanuel Centre, Castle Lane, Lurgan (entrance beside Iceland) at 7.30pm tonight. It said: “In response to the tragic events in Cookstown on Sunday night, parents of local teenagers involved in teh incident, together with local GAA, soccer and other sporting clubs have worked together to organise a Crisis Response Event in Lurgan. 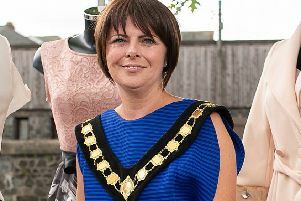 “We know approximately 50 young people travelled to Cookstown from this area and we are keen to reach out to every single one of them and their families. “Links Counselling have agreed to facilitate a community support event at 7.30pm in the Emmanual Centre. “The focus will be to resource the young people and families who may be experiencing symptoms of trauma or grief.